Chick-fil-A opened its fourth location in the city last month. The largest franchise in the country, it seats 140, employs 150, and along with the other NYC locations, donates an estimated 17,000 pounds of food to a local pantry for the homeless and hungry. The company is reportedly on track to become the third-largest fast-food chain in the world. A private business succeeding in the marketplace based on its merits, without coercion or cronyism. An enterprise that values hard work, honesty, and integrity. A family-owned American dream come true that creates jobs, pays taxes, satisfies customers of all backgrounds, and gives back to the community. Chick-fil-A’s corporate mission to “glorify God” and “enrich the lives of everyone we touch” leaves The New Yorker scribe terminally heartsick about the “ulterior motive” of its restaurant execs. So do the founding family’s commitments to faithful marriages, strong families, Sundays off, and the highest standards of character for their employees. Notice, by the way, how these hysterical Chick-fil-A-phobes have no qualms about the success of Jewish-owned delis or the spread of Muslim halal food shop operators in New York City who openly pay tribute to their faiths. Imagine a reporter freaking out over Quran verses or Torah citations hung up on a business owner’s wall. Welcome to Social Justice 101, where discriminating against Christian-owned business in the name of opposing discrimination is the definition of tolerance. We’ve been here before, of course. 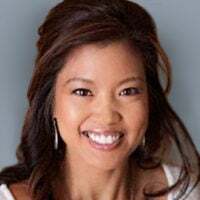 It was a liberal activist reporter and gay marriage advocate at The New York Times, Kim Severson, who helped launch the first nationwide witch hunt against Chick-fil-A in 2011. 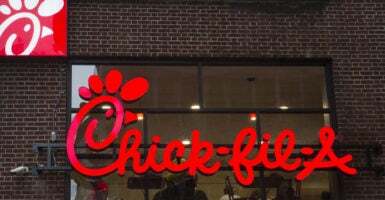 The former vice president of the National Gay and Lesbian Journalists Association used her straight-news platform to invoke fear of “evangelical Christianity’s muscle flexing” and spread false and libelous attacks on Chick-fil-A founder Truett Cathy and his family as “anti-gay.” Her propagandizing in the radical rag of record helped stoke boycotts and regulatory crackdowns by pandering Democrat Mayors Thomas Menino in Boston, Rahm Emanuel in Chicago, and Bill de Blasio in New York City. Ultimately, those media-manufactured efforts to stifle Chick-fil-A’s free enterprise and First Amendment rights failed. The company’s products have proved irresistible to customers on all sides of the political spectrum. Gastronomical satisfaction trumps anti-Christian zealotry and zealous anti-Trumpism. And that’s what chaps the thin hides of the far-left journalists at The New York Times and The New Yorker who choke at the sights and smells of good, old-fashioned capitalism. If leftists only want to eat and drink at a global fast-food company whose progressive CEO shares their Democrat-supporting, gun-grabbing, open-borders, gay marriage-boosting values, they should stick to Howard Schultz’s Starbucks cafes.